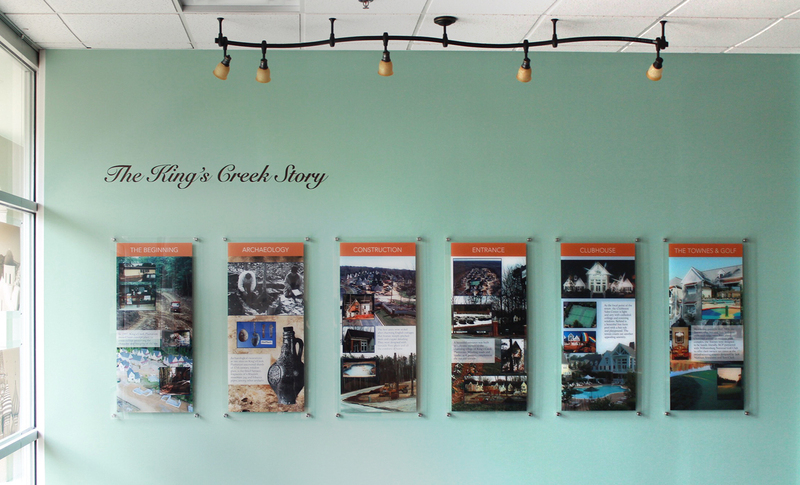 King’s Creek Plantation approached us eighteen years ago — when they were in the develop/build stages — to design and produce all sales materials including exhibition graphics of the projected resort community and all its amenities. 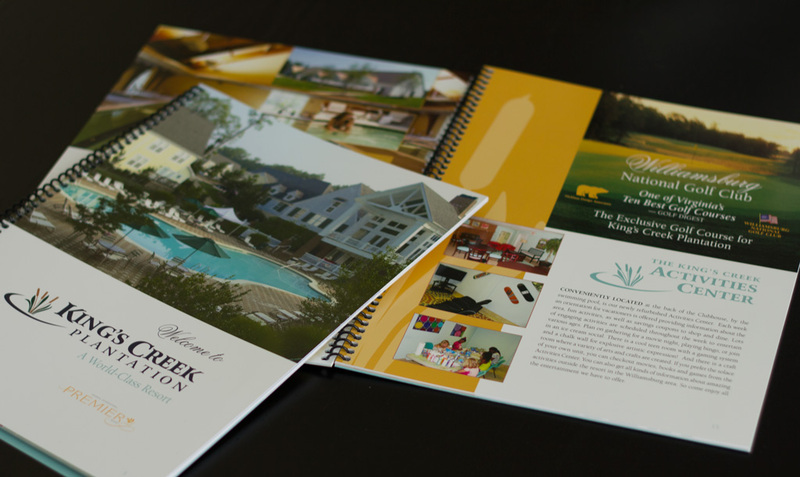 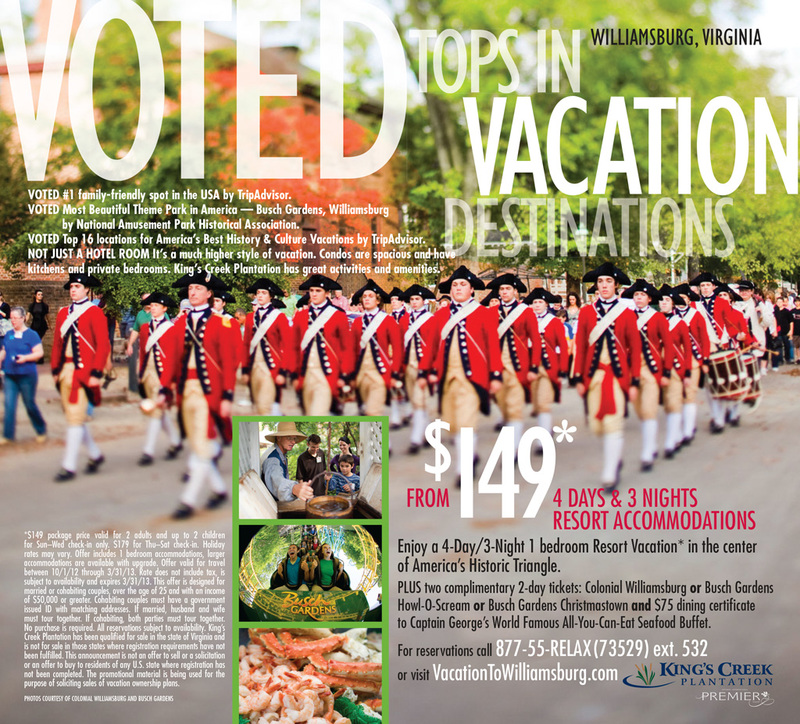 The resort continues to grow and we continue to support their marketing and graphic needs today. 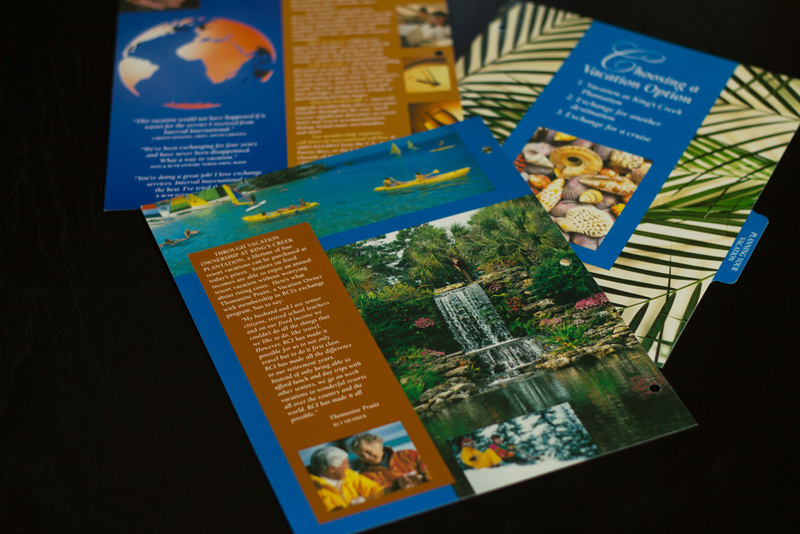 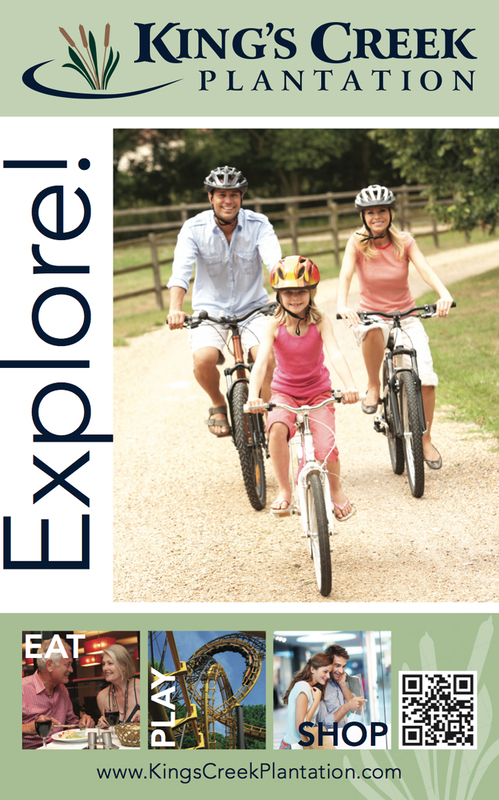 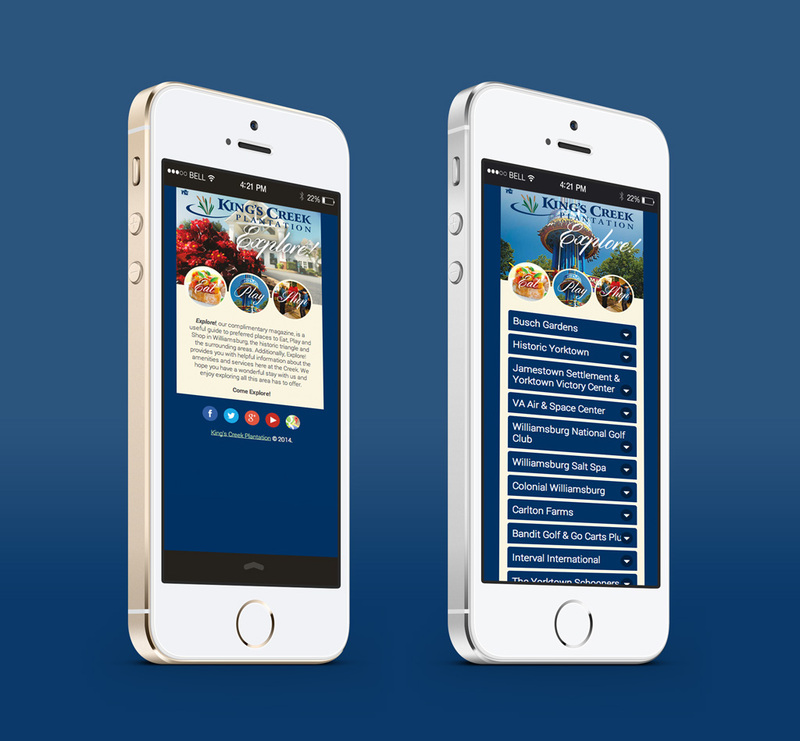 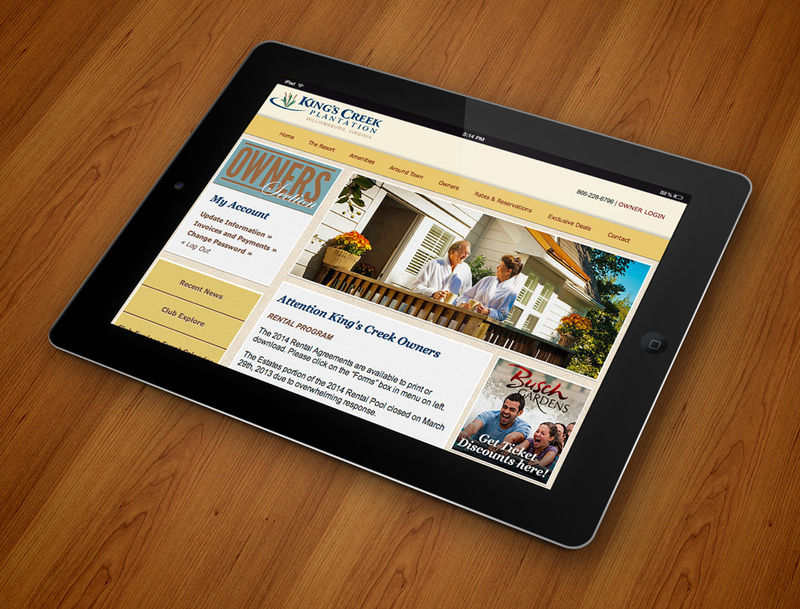 We write, design and produce the resort marketing materials and periodic newsletter for owners. 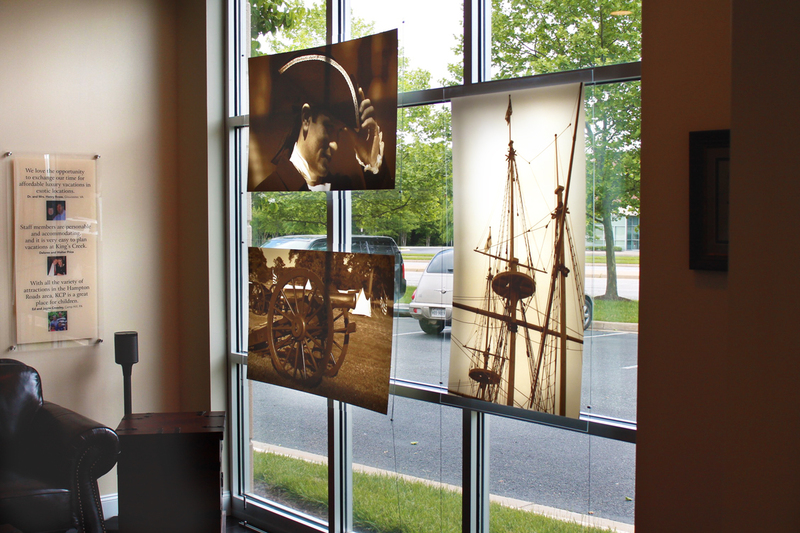 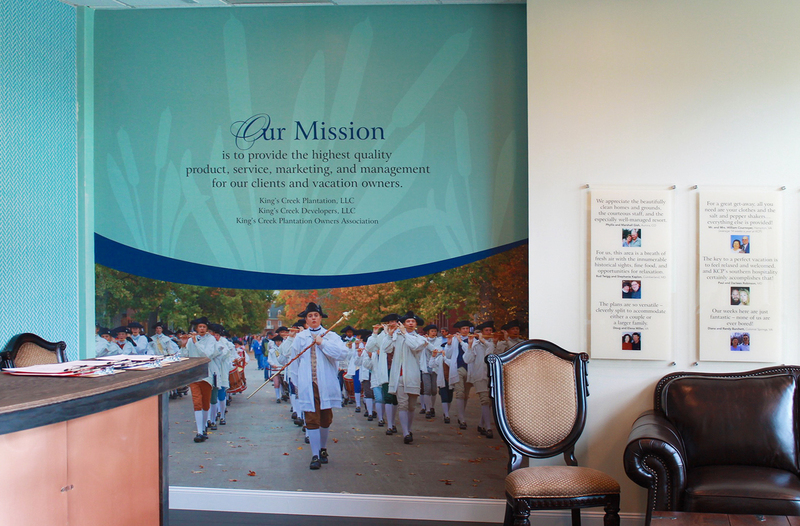 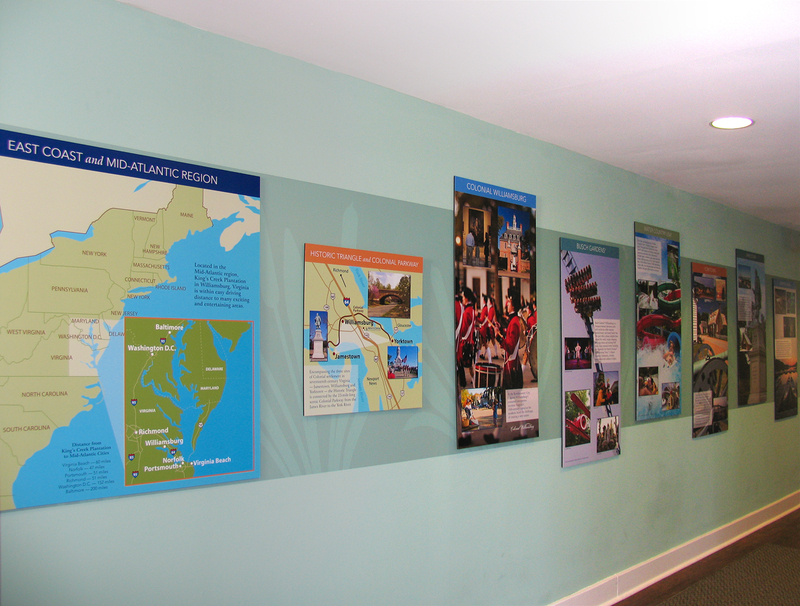 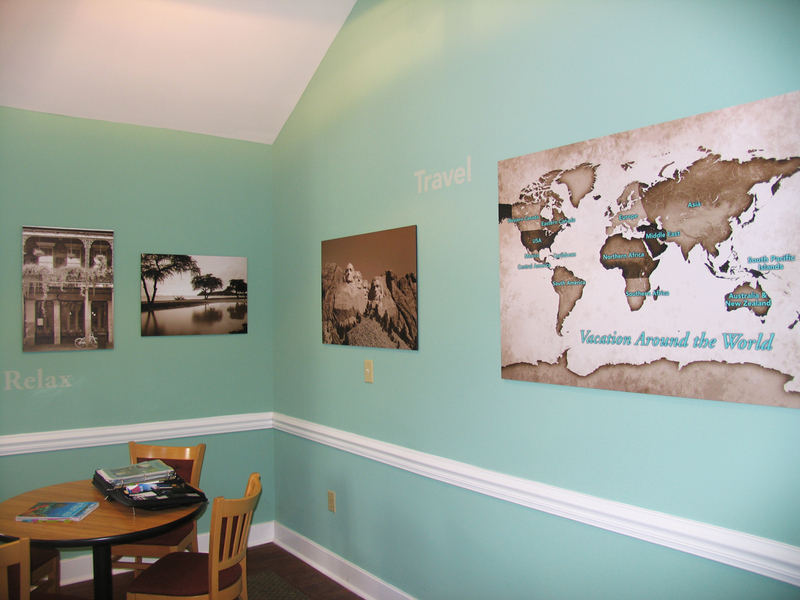 We also provide environmental design to include wall colors, furniture and fabric and, of course, the wall graphics.